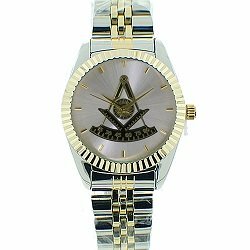 MASONIC INSURANCE - Do Masonic lodges offer policies to members? 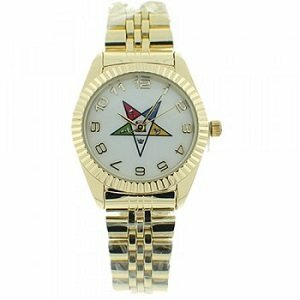 Masonic insurance is not available to Freemasons, today, through the fraternity. However, such has not always been the case. Prior to the advent of social security and other governmental programs in the United States, fraternal orders provided for the insurance needs of their members. 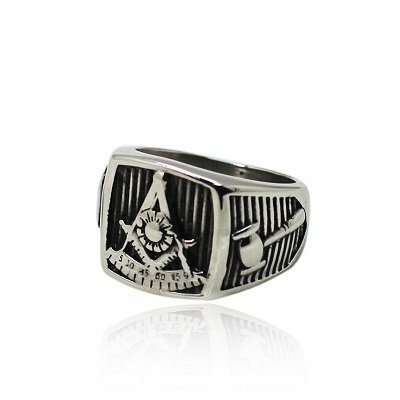 Fraternal orders included not only members of the Freemason fraternity, but members of different groups which had united because of their similar interests. These fraternal orders included members of unions, professional societies, savings and investment associations and others. In the late 1800s, few people could afford health and life insurance. During this time, mutual types of insurance organizations sprang up and for a low premium, they insured people who would otherwise not be able to afford insurance, individually. For lack of a better word, today, to describe how these mutual aid associations worked, we tend to classify the offerings of these fraternal orders as Masonic insurance organizations. However, the words "life insurance policy" as we know it today, connote a somewhat different product than the mutual aid and benefit associations which the majority of these fraternities, unions, societies and associations offered at the time. Each of these Masonic insurance aid and relief organizations provided a death benefit to the widows and surviving family of members of the mutual aid organization within the fraternity. During this time, insurance for the populace in the United States was still in its infancy. The United States experienced much internal strife and upheaval during the late 1800s, including 3 wars, 2 of which were fought on United States soil. (Civil War and the many ongoing Indian Wars). Coupled with the wars, the 1800s also saw enormous financial upheaval. Today, we speak of "The Great Depression" of the 1930s in the United States, almost as if it had been a singular event, however historically, the United States experienced 4 economic depressions during the 1800s. Trade embargo cut U.S. imports. This led to the War of 1812, during which time the capitol in Washington, D.C. was burned by British soldiers. 1837-1844: President: Andrew Jackson (1829-1837), Jackson was a member of Harmony Lodge No. 1, Nashville, Tennessee, an Honorary Member of Federal Lodge No. 1 F & A M in Washington, D.C. and Jackson Lodge No. 1, F & AM, Tallahassee, Florida. In 1822 and 1823, he served as Grand Master of Masons in Tennessee. Monetary deflation brought about many business failures. The U.S. was on the Gold Standard, however its gold holdings were insufficient to meet the demand for money resulting from the growth of the economy. 1893-1898: Presidents: Grover Cleveland (1893-1897), William McKinley (1897-1901), McKinley was made a Mason May 3, 1865 in Hiram Lodge, No. 21, A.F. & A..M. in Winchester, Virginia. The transportation industry (railroads) underwent a radical decline. Many of the major railroads went bankrupt. (Philadelphia and Reading Railroad, Erie Railroad, Northern Pacific, Union Pacific, Atchison Topeka and Santa Fe Railroad). This set off a financial panic. Industries related to the railroads then failed. Since railroads were the only real means of mass transportation of commodities at the time, shipping became difficult and expensive. Subsequently, businesses unrelated to the railroad industry also failed. 1929-1941: Presidents: Herbert Hoover, (1929-1933), Franklin D. Roosevelt (1933-1945) Hoover was made a Mason November 28, 1911 in Holland Lodge No. 8, F. & A.M. in New York, New York. 1861-1865: American Civil War, Northern states vs. Southern states. Much of the southern part of the United States was thrown into abject poverty after the war ended. 1865: April 14th, President Lincoln was assassinated. 1876: June 25, Indian Wars: The US 7th Cavalry under Lieutenant George A. Custer was routed at the Battle of the Little Bighorn. This was only one battle. The history books show 17 Indian Wars beginning with the 1811 Battle of Tippecanoe to the Wounded Knee Massacre of 1890. 1898: Spanish-American War: On April 25, 1898 the United States declared war on Spain following the sinking of the Battleship Maine in Havana harbor on February 15, 1898. The war ended with the signing of the Treaty of Paris on December 10, 1898. Wars and economic depressions were not direct causes of the need for mutual aid and there has been no evidence found that Masonic Mutual Aid organizations insured soldiers while they were engaged in wartime activities, however indirectly, wars decreased the number of family members who were capable of physically and economically assisting the more elderly members within the family unit. Economic depressions (2 depressions, 14 years apart, each of which lasted 6 years and 5 years, respectively) also added to the hardship experienced by widows and orphans during this period in history. The 1800s was a period which saw many wars, much bloodshed and great loss of lives in the United States. In this time of great need, Masonic relief organizations and other fraternal organizations met these needs by providing aid to help the afflicted. Masonic associations were formed to provide a form of Masonic life insurance to provide to the widow, orphans, heir, asignee or legatee of a deceased member as many dollars as there were members in good standing on the books of the corporation. Much like today's HMO's (Health Maintenance Organizations), some fraternal insurance organizations provided medical care by using their own doctors. Others provided medical care utilizing "society doctors" on a fixed fee basis. Many of these Masonic mutual aid organizations extended aid to their members even if the member did not have a justifiable written claim under the benefit's contractual rules. This combination of charity with mutual aid was in keeping with the spirit of why the fund was created rather than solely performing as contractually stated. While most of these Masonic insurance organizations are no longer in business, at least one of them has evolved to become a widely diversified multi service organization. 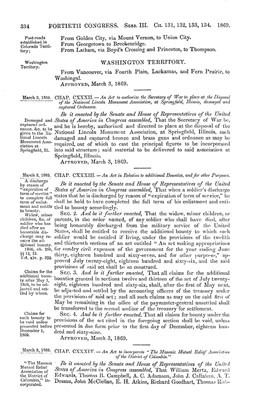 The two pages, below are from the Fortieth Congress, Session III, in 1869. They describe the beginnings of the Masonic Mutual Relief Association of the District of Columbia. Note: Please do not confuse the Masonic Mutual Relief Association of the District of Columbia with the current Masonic Relief Association of the United States and Canada. They are two separate entities. See Chapter CXXXIV, Sections 1-6 below, which begins with the last paragraph on page 334 and continues onto page 335. The following information is credited to "A Unique and Different Company", The Story of Acacia Mutual Life Insurance Company by Howard W. Kacy, Member of the Newcomen Society, President, Acacia Mutual Life Insurance Company, Washington, D.C., Copyright 1964. (Howard W. Kacy, Mason and member of DeMolay Legion of Honor). Many of the excerpts below are taken from this booklet which is the published speech delivered at the 1964 Washington Dinner of The Newcomen Society in North America, held in the Ballroom of The Mayflower Hotel, at Washington, D.C. with Mr. Howard W. Kacy as guest of honor. In 1955, Mr. Kacy was named President and Chief Executive Officer of Acacia Mutual Life Insurance Company. He and his predecessor brought the Acacia from a small fraternal insurance society to a position of prominence among the great financial institutions of the world. Masonic Insurance Assessment System of the Masonic Mutual Relief Association of the District of Columbia. 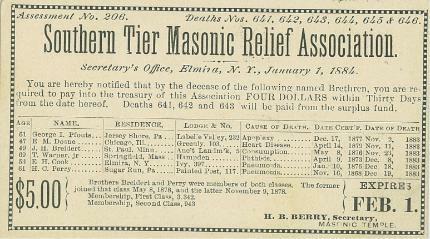 1869: Each prospective member paid $ 3.10 to become an insured member of the Association. Under the assessment system, whenever a member died, each of the remaining members would be assessed $ 1.10. The dollar would be paid to the deceased's beneficiary and the 10 cents was retained by the Association to defray operating expenses. Most of the expenses were incurred through the purchase of specially printed United States Postal Cards which were used to notify members of assessment. The Secretary also received some part-time compensation for attending to the details incident to the collecting of the assessments. It was agreed that whenever the balance in the treasury justified it, an assessment would be waived. 1895: At the annual meeting in 1895, Mr. Montgomery (Secretary of the Association), reviewed the record the Association made during its first quarter century. It had received $ 770,000 in income, of which $ 749,000 was from assessments and the rest from membership applications, rent, interest, etc. Beneficiaries had received $ 701,000 and assets amounted to $ 14,000, consisting mainly of the building which housed the Association's office. The remaining $ 55,000 had gone for the entire expense of management, the cost of getting new business, etc. In other words, 91 cents of every dollar received had been paid to beneficiaries, 7-1/4 cents had gone for expenses, and 1-3/4 cents had been credited to assets. The average amount paid to beneficiaries had been $ 1,242, while deceased members had paid in an average of $ 259. The average annual cost per $ 1,000 of insurance for all ages was $ 18.15. 1908: In 1908, the official company name was changed from "The Masonic Mutual Relief Association of the District of Columbia" to the "Masonic Mutual Life Association of the District of Columbia. 1922: In 1922, the company once again changed its name, this time to the Acacia Mutual Life Association. The logo should be a familiar one to all Masons...the Masonic symbol of immortality,... the Acacia tree. Despite the name change however, their charter still required them to confine their sales to members of the Masonic order. 1932: In 1932, (63 years after its inception), Acacia Mutual Life Association discontinued the practice of limiting Masonic insurance coverage to Masons and evolved into a full-fledged mutual legal reserve life insurance company. 1984: In 1984, Acacia purchased Calvert Group, Ltd. , which is an industry leader in socially responsible investing. 1985: In 1985, the company received Congressional approval for the creation of Acacia Federal Savings Bank. 2006: The Ameritas Acacia Companies merged with Union Central Mutual Holding Company to form UNIFI Mutual Holding Company. 2009: From its Masonic insurance beginnings,... today, 140 years, several name changes and multiple mergers later, Acacia Life Insurance offers universal life insurance, whole life insurance, term insurance, annuities, retirement mutual funds plans as well as municipal bonds, estate planning and socially responsible investing. It is the only life insurance company that operates under a federal charter in the United States. End of Excerpts from "A Unique and Different Company", The Story of Acacia Mutual Life Insurance Company by Howard W. Kacy, Member of the Newcomen Society, President, Acacia Mutual Life Insurance Company, Washington, D.C., Copyright 1964. Additional information on this page is also credited to "Acacia Mutual Life Insurance Co. Charter Amendments", 98th Congress, 1st Session, House of Representatives, Report No. 98-108. Here are the names of some of the other Mutual Aid associations and Masonic Relief organizations of over 100 years ago which offered forms of Masonic insurance. The information, below is from the Assessment Insurance Pocket Register of Life Associations (1896) printed by The Spectator Company (Spectator Life Insurance Magazine). Knights Templars & Masons Life Ind. Co.
Assessment No. 206, Deaths Nos. 641, 642, 643, 644, 645 & 646. "You are hereby notified that by the decease of the following named Brethren, you are required to pay into the treasury of this Association FOUR DOLLARS within Thirty Days from the date hereof. Deaths 641, 642 and 643 will be paid from the surplus fund. Underneath, it gives the age, name, residence, lodge and lodge number, cause of death, date "cert'f" and date of death. 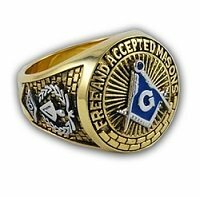 Although few fraternal mutual aid, mutual relief or Masonic benefit societies remain, today.,...in the mid to late 1800s, (1868-1900), these forms of life insurance were available from not only Freemason organizations, but numerous other fraternal groups in the United States. The Independent Order of the Odd Fellows, and the Modern Woodmen of America, both fraternal organizations, offered insurance to their members. There were also many others. 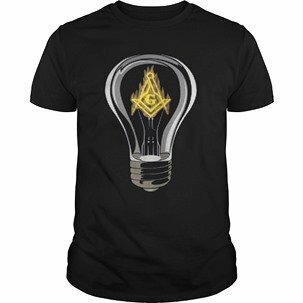 Why is Masonic Insurance No Longer Available? 1890-1919: A factor that may have contributed to the decline of Masonic insurance and fraternal insurance in general was governmental price regulation. By the 1890s, a movement was underway to impose a mandatory pricing structure on fraternal insurance companies. 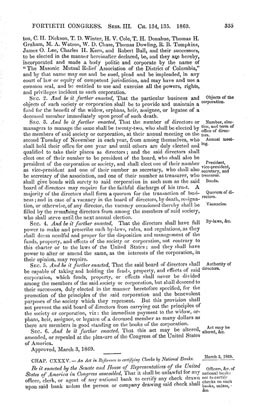 Beginning in 1891, the National Fraternal Congress drafted a series of bills that, among other things, compelled all fraternals to charge rates no lower than those indicated by a mortality table which the NFC had computed. These bills were introduced into state legislatures and by 1919, 40 states had modeled some form of the NFC's (National Fraternal Congress) bill which had been passed into law. 1930s: Before the Social Security Act of 1935 was enacted, a limited form of the Social Security program began as a measure to implement a form of "social insurance" during the Great Depression of the 1930s, (1929-1941) when more than 50% of senior citizens in the United States lived at or below poverty level. 1945: The End of Masonic Insurance Offered by the Fraternity: With the advent of Social Security, as well as other governmental services and factors, the need for Masonic insurance offered by the fraternity declined. However, when there was need, true to its basic tenets of Brotherly Love, Charitable Relief and Truth, the fraternity of Freemasonry fully met these moral obligations in the spirit of Brotherhood and Freemasons provided a form of insurance to their brethren.